Trish Albano Interiors loves to collaborate with busy professionals who want a home that is a haven, that is highly functional, and that ultimately is a reflection of themselves. She knows how to capture the individual style of all her clients, even when they think they don’t have one. It may be grand, contemporary, comfortable or classic, but it always brings joy. Trish will tastefully mix styles to incorporate favorite pieces they already own, or she can start fresh. When working with Trish, clients feel confident. 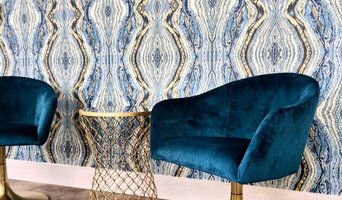 They benefit not only from her experience, analysis and clear communication style, but also from her extraordinary access to furnishings, fabrics and décor. Trish has that unique ability to turn a home into both a sanctuary and a showcase. Trish’s work has been featured on HGTV’s My First Place and on NBC’s Extreme Makeover: Home Edition. She has been interviewed for Chesapeake Home & Living and was a featured designer for Historic Ellicott City’s 2014 Decorator Show House. Trish is recently completed design on Catherine's Cottage - a home for women and children survivors of Human Trafficking located in Baltimore. She also recently designed a Senior Tiny House "Backyard Bungalow" featured at the 2017 Frederick County Home Show. Design and styling of residential interiors, from Full Service Design, to Ala carte type service. Colleen Price Interiors is passionate about helping people achieve the beautiful and functional spaces that everyone deserves, and works in creative ways to make that possible. A good home design professional will hone your style down to its very essence and be able to choose a functional layout that feels natural to you. Interior design companies can be involved as much or as little as the client desires. 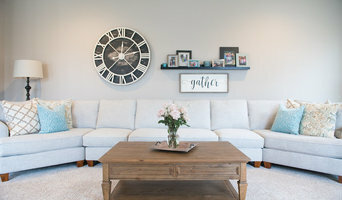 Many clients who hire an interior decorator in Linganore, MD — particularly those who are remodeling — have a good sense of how the room should look and what products they should use. Often clients will insist that interior decorators use the products already present in the house. Other times a designer will need to start from scratch — especially if this is a newly purchased or just-built home. An interior design company will need to figure out exactly what the client needs, which includes organizing rooms, picking flooring and wall colors, and finding furniture to complement it all. Sometimes that means he or she will have to recruit help from other Linganore, MD home professionals to help create the perfect look for your renovation. Here are some related professionals and vendors to complement the work of interior designers & decorators: Architects & Building Designers, General Contractors, Home Builders, Design-Build Firms, Photographers. 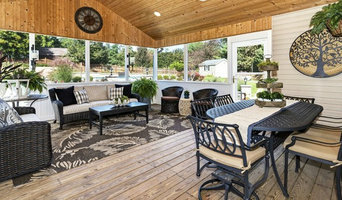 Do your research before meeting with an interior designer or home decorator in Linganore, MD. Ask yourself what you want your space to become and what it will be used for. Figure out the extent of what you need help with, what your must-haves are and what your budget is. Interior design services can add up fast, so be up front with a potential design firm or individual from the beginning. Also, pick an interior decorator that fits your style. Browse through the portfolios of different Linganore interior design firms and decide if you would live in those houses. Just because you like something doesn’t mean you could live in it. There's a big difference! Find an interior designer or home decorator in Linganore, MD on Houzz. Narrow your search in the Professionals section to find Linganore interior designers near you. 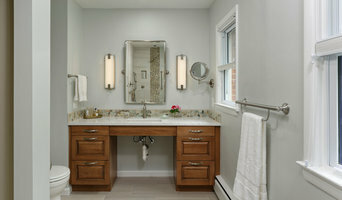 You can also look through Linganore, MD photos to find a room you like, then contact the design firm who designed it.